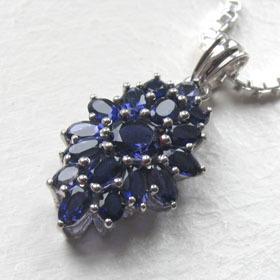 An iolite pendant can be pale or deep indigo. One of the characteristics of iolite is its extreme pleochroism. This means it looks different colours when the stone is seen from different directions. 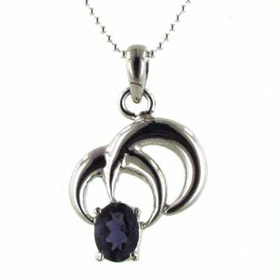 All our iolite pendants are set in sterling silver. Here are different styles of iolite pendants. 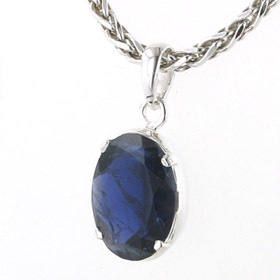 Choose from our Italian sterling silver chains to create your own unique iolite necklace. 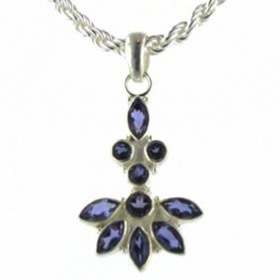 Enjoy free delivery on your iolite silver pendant.